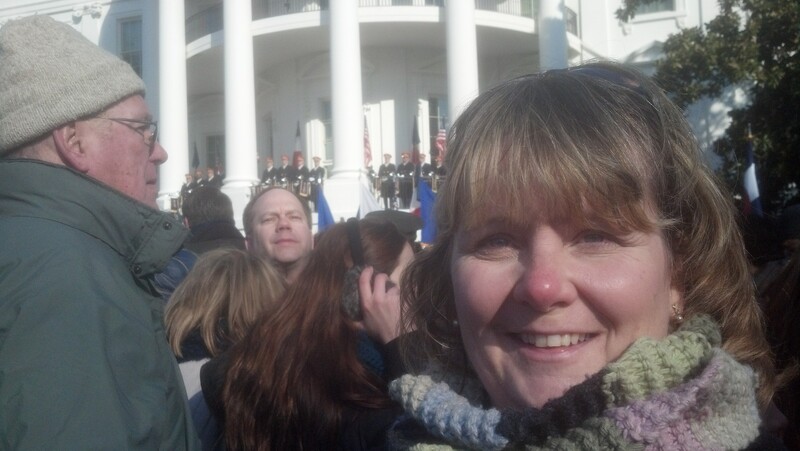 Today I am sharing a Digital Citizenship (#DigCitizen) Project profile featuring Sherry Grandinetti, a social media leader, I met while attending the White House Social (#WHSocial) for the French Arrival Ceremony for French President Francois Hollande in February. I am a teacher of visually impaired students in Honesdale, Pennsylvania. You can follow me on Twitter at @SaltyBeach. My 140 character statement I submitted to participate in the #WHSocial stated how I honored I would be to attend the event as a teacher of the visually impaired and a former recipient of school loans. I also explained how I am proof of success from supporting education. A breathtaking view of the White House up close. Chills hearing the President’s March and hearing him being announced in person. Being so close to two leaders while they gave welcome speeches. The electrical excitement in the crowd before the ceremony began. Watching the pomp and circumstance during the arrival of the Presidents was surreal. A cell phone, iPad, and camera. 5) After the #WHSocial, did you write or participate in any follow-up interviews for a blog, magazine, newspaper, radio station, or television station? I shared the State Room presentations with school officials at all of my placements and with my students. I shared my personal experience with friends and family via Facebook. An area newspaper asked for an interview that has not occurred yet. 6) Did you learn any lessons while participating in the #WHSocial? The main lesson I learned was always try to participate in patriotic and political events. It brings history to life. 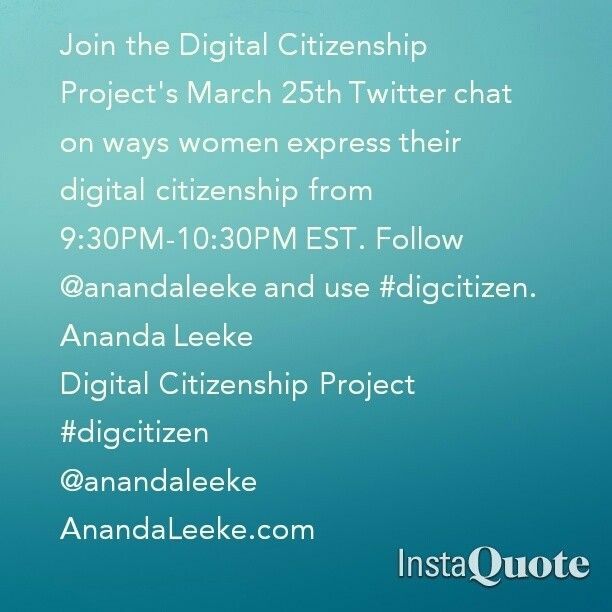 7) What does digital citizenship mean to you? Digital citizenship is a part of our world. Embrace it, use it to learn from, and network through it. I love it! 8) How are you planning to stay engaged as a digital citizen? I try to monitor the White House social media more often and engage in Twitter political interaction more. 9) Share several ways Americans can use their digital presence and online network to engage civically on a local, state, and/or national level. Engage and follow local representatives to stay involved with current events and pending laws.